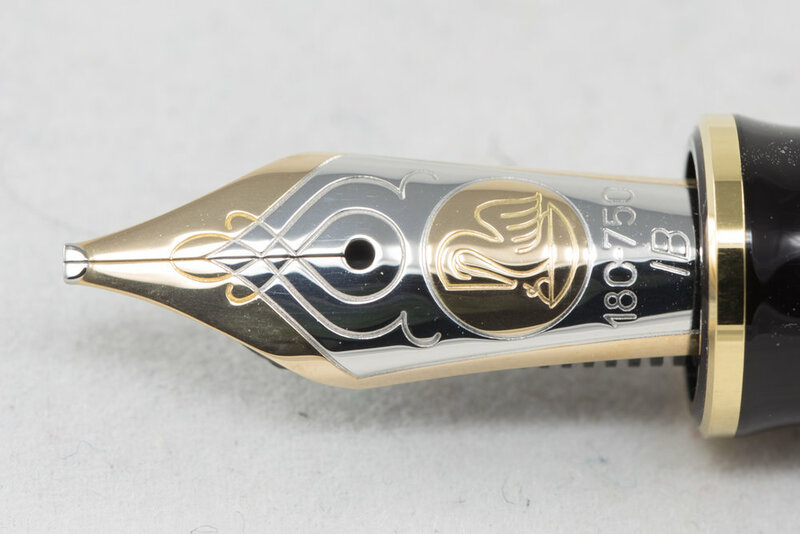 This lovely looking pen has been in my collection for just on 13 months now. The Grand Place was the last of the M800 Special Editions that I did not buy at release. Its depth of colour makes me sometimes just stop and gaze at it. The newer of my two M800 18K Italic Broad (IB) nibs. It is everything I love in a broad stub - smooth, wet and juicy! It does not have the extreme line variation of some my cursive italics but I find it a satisfying nib nevertheless. Solferino - named after the Italian town where a dye of reddish purple colour was discovered in 1859. I really like this colour of ink, which does shade slightly from this broad wet stub.